Unwilling: Exercises in Melancholy proposes a re-consideration of melancholia defined through our contemporary condition. Resisting the historical definition of melancholy as an affliction that creates disorder or inactivity, this exhibition reimagines passive sadness as powerful refusal, a conscious (or unconscious) “standing aside,” a willful production of generative failures and resistant potencies. Each of the contributing artists begins with the idea that outside the boundaries of “contentment” resides a potent flourishing. Unwilling is a resistance and a proposition: it responds to the profound cultural reckoning we are witnessing in this moment in time, as the boundaries and exclusions of state-defined citizenship become increasingly fraught. The exhibition crosses disciplinary boundaries. Dance artist Justine Chambers explores choreographies of resistance, growing out of a studious and embodied interpretation of all the minor gestures on the way to hands raised in surrender. Sculpture- and performance-based artist Mike Bourscheid mines absurdities in relation to our cultural preoccupations with masculinist productivity, while social practice artist Ginger Brooks Takahashi works to create new networks of value in the production of food, drink and community. The “weeping” willow is at the centre of media artist Noa Giniger’s multi-faceted take on reversals of sadness and the refusal to succeed, and poet and critic Billy-Ray Belcourt positions mourning as a defining aspect of an active and resistant subject ― and proposes that the future, if it is to hold us at all, must address this subject head on. Unwilling: Exercises in Melancholy is made possible with support from the John B. Hurford ’60 Center for the Arts and Humanities. The exhibition is organized in conjunction with the Hurford Center’s 2017–18 Faculty Seminar “The Arts of Melancholy” led by Richard Freedman (Music). 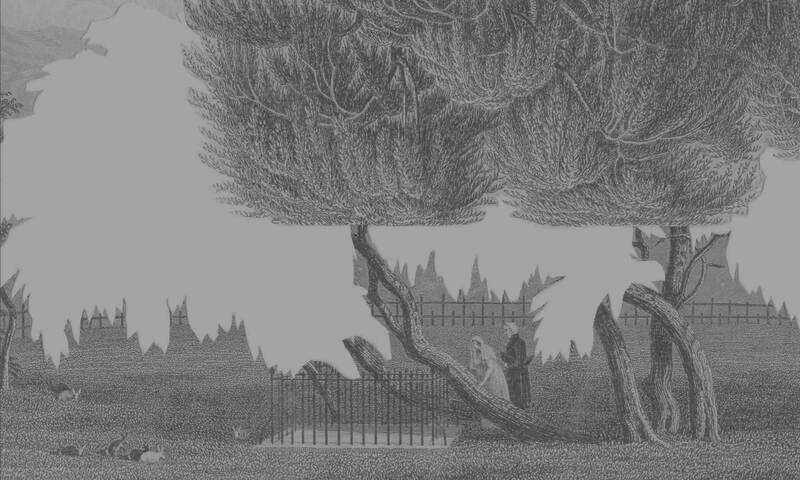 Header Image: Noa Giniger, The Sorrow the Joy Brings, collage from steel engraving (Napoleons Grab, 1838), 2012. 16.5 x 21 cm. (publication detail). Courtesy of the artist.